VIZ Media, LLC (VIZ Media), a premier company in the fields of publishing, animation distribution, and global entertainment licensing, springs into the wild world of professional wrestling as it announces the acquisition of the English-language publishing rights for KING OF STRONG STYLE: 1980-2014. Originally published in two paperback volumes in Japan, (1980-2004, 2004-2015), the autobiography of one of Japan’s greatest professional wrestlers, Shinsuke Nakamura, will be released as a single-volume hardcover print edition as well as a digital edition by VIZ Media in the summer of 2018. Both hard copy and digital releases will feature select color and b&w photographs. Nakamura now appears weekly on USA Network’s Tuesday night program, Smackdown Live, which has over 2 million weekly viewers, where he is frequently featured in the main event match-ups. Before he became a star of American professional wrestling, Shinsuke Nakamura was Japan’s “King of Strong Style.” His autobiography traces an amazing life and career from the amateur grappling ranks to the Nippon Budokan. Thrill to his matches against such legends as Kurt Angle and Brock Lesnar, his reign as the youngest IWGP Heavyweight Champion, and his success as a mixed martial artist. Born in Kyoto, February 24, 1980, Shinsuke Nakamura began amateur wrestling in high school before attending university at Aoyama Gakuin University. After a brilliant career there, he joined New Japan Pro-Wrestling in March 2002 and made his professional debut at Nippon Budokan in a match against Tadao Yasuda on August 29, 2002. On December 9, 2003, a mere sixteen months into his professional career, he crushed Hiroshi Tenzan and was crowned the youngest IWGP Heavyweight Champion in history. Even as he pursued greatness in the professional wrestling ring, Nakamura participated in MMA, facing Daniel Gracie of the legendary jiu-jitsu family, and super heavyweight kickboxing champion Alexey Ignashov. Now he thrills fans in the United States and beyond on a weekly basis as one of the top wrestlers in the world. 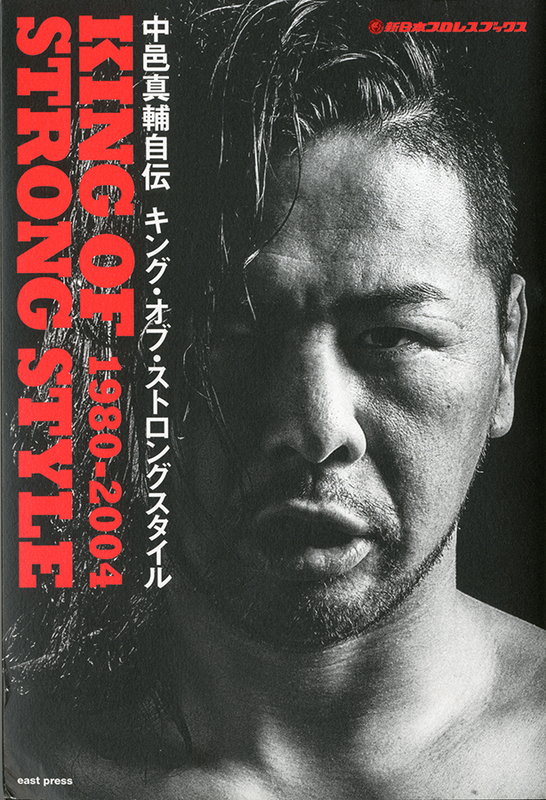 For additional information on KING OF STRONG STYLE: 1980-2014 or other anime, manga and literary titles distributed by VIZ Media, please visit viz.com.